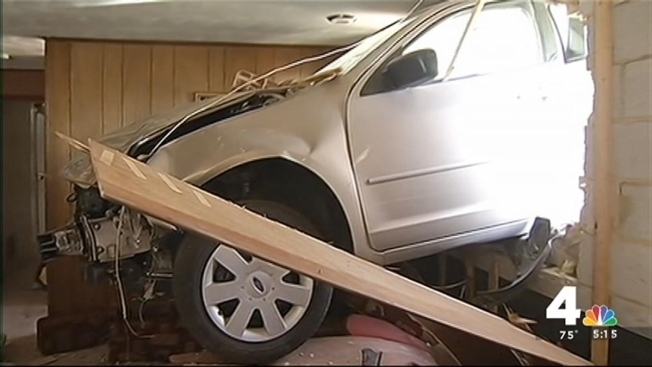 A driver has been extricated after crashing into the lower level of a Maryland home about noon Monday. For a while, 91-year-old Melvin Calhoun was trapped in his car after crashing into a neighbor's house in the 6900 block of Heidelberg Road in Lanham. Calhoun was headed to D.C. to visit his girlfriend when he clipped another car and then crashed into a neighbor's family room. The driver is OK, a Prince George's County Fire and EMS official said.